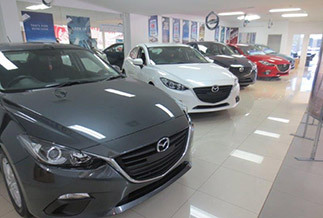 Golden City Mazda are here to help you protect your investment by offering a comprehensive range of products to suit your needs, whether that be for a new or used vehicle, private or business or for a fleet purchase. With so many providers offering complicated policies, insurance can be a foggy issue. But at Golden City Mazda the choice is clear. We have options across a range of Insurers to give you the absolute best cover available. It just makes sense. And you know you can count on the quality and value you’ve come to expect as a Mazda owner. From car insurance, to finance protection insurance, to finance gap insurance to extended warranty insurance, we’ve got you covered.